While you might wish that there were more hours in the day to complete everything on your to-do list at work, the fact of the matter is that there are only 24 hours in a day. And when you consider that you should be spending around seven or eight hours a day getting some shut eye and that there are family and personal commitments that eat up more time, you’ll need to be purposeful in your planning to get more done with the time you do have. 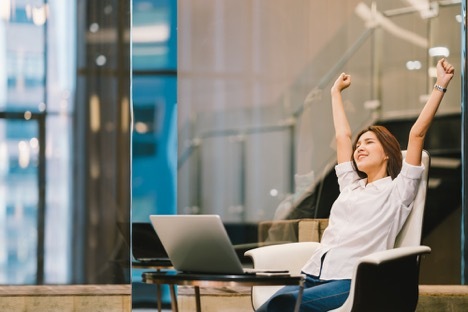 Fortunately, there are some daily habits that will increase your productivity at work and allow you to accomplish more without burning yourself out in the process. What follows are some recommendations that you should consider incorporating into your daily routine on the job. Get Enough Sleep: If you want to be ready to tackle the challenges of a fast-paced business environment, then you need to get enough sleep. Some sources say that a healthy adult should be striving for between seven and nine hours a night. Failing to get a sufficient amount of sleep will adversely impact your ability to work at peak efficiency and this will compromise your productivity. Whether it means watching less television or limiting your after-work social activities, you owe it to yourself to get enough sleep to function properly. Take Breaks: It might seem counterproductive if you have to prepare for an important client presentation, complete a project by the agreed upon deadline or wrap up your quarterly expense report, but you can actually boost your concentration by taking scheduled breaks. Research shows that taking small breaks during long tasks can help you to maintain a constant performance level and that refraining from breaks during long tasks can erode performance. Walk the Dog: Getting up and being active is not only a great way to stay fit, but also a great way to get your mind off of work for a while. One great way to give your brain a bit of a rest is to walk your dog — assuming that your workplace permits employees to bring their pets. Of course, the amount of exercise your dog needs will largely depend on its breed and size. Even so, a walk in the park with your dog will provide you with the opportunity to clear your head and recenter. Take Advantage of Exercise Breaks: Exercise can definitely boost your work productivity, increase your mental health, boost your alertness, heighten your energy and safeguard your health. So, schedule several exercise break periods over the course of the work day and use these periods to go for walks outdoors or to use the company’s exercise room. Avoid Multitasking: Multitasking is a buzzword that has been embraced by many as an important skill to have in the business world, but the truth of the matter is that multitasking isn’t what it’s cracked up to be. There is actually research that suggests that trying to do numerous tasks at the same time can actually hamper your productivity and take up more of your time. So, the best thing is to give each task your undivided attention before moving onto the next task. 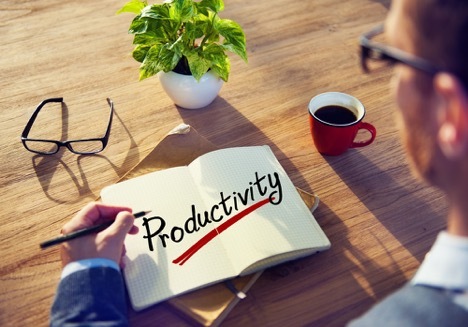 If you’re looking to boost your productivity, these tips will help you achieve this goal. Of course, you’ll need to make a habit of putting them into practice until they become a normal part of your routine, and this will help you to make the most of the time you have on the job.